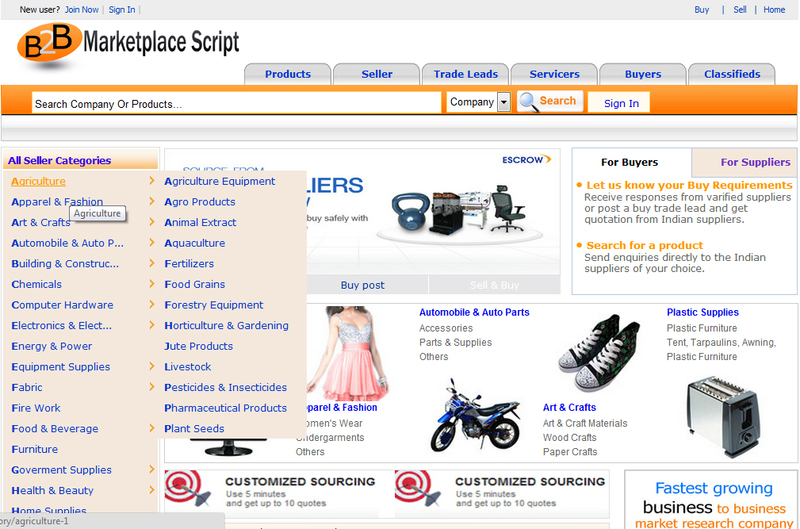 Eagle Scripts comes with new and advance technology B2b script witch have all the best business to business features for those who want to start their own B2b portal website business. 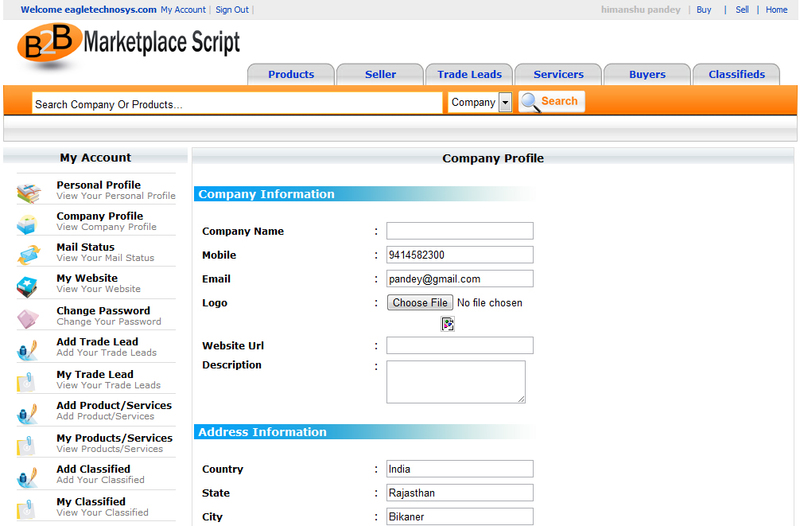 Our B2B Marketplace Script supports multilevel category hierarchy. It means you can create unlimited number of categories / subcategories etc which can run any number of levels deep. This helps in organization of the listing in a very well structured manner. Plus you get AMAZING SEO BENEFITS. Every company can post their products from adding products. 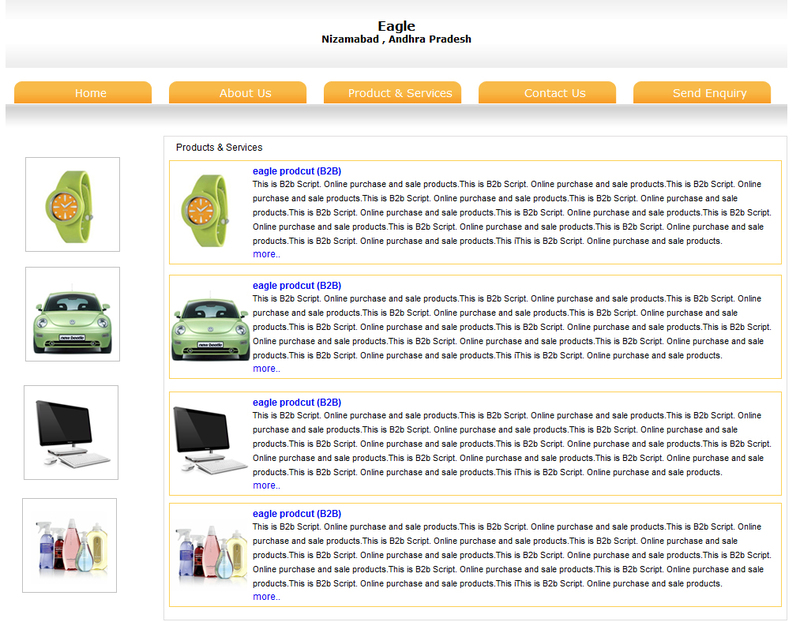 When they post the products they will get the product catalog where visitors can see all their products. After creating the company a user will get the company profile with a unique url, here they can update their company information's like about us, contact details etc. Traders can post items or special offers. Many traders use it for clearing stocks or to list any items that they want to sell. Gold level members get enhanced exposure for their listing. Buyers can also post their needs here. Our B2b script supports four membership levels like free, gold, sliver and diamond. You can control it directly from the admin panel. You can change membership level and duration of any member anytime from admin panel. 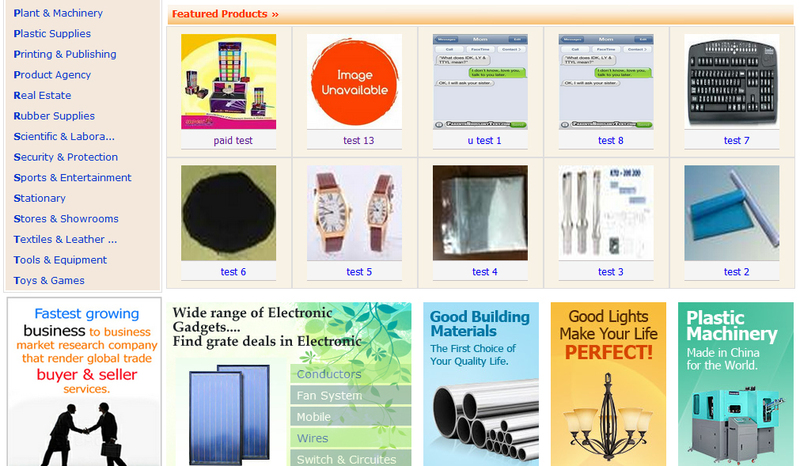 Paid member has the facility of featured products which will show on the home page and inner pages. You can manage your members from your admin panel. Internal messaging system on the script has section for all incoming messages as well as all outgoing messages. So, all communication is stored just in case user needs to refer to it later. After getting company register every company will get a micro website where he can show his details to all the visitor like about us, turnover, company type, contact information, products etc. 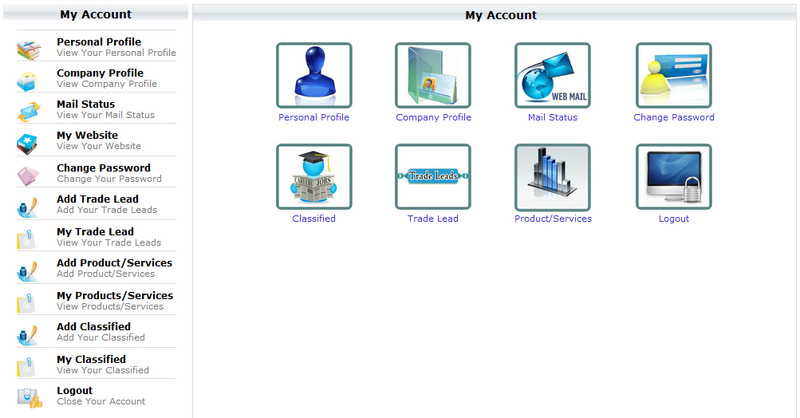 For managing all their company details every user will get the "My Account". Here he gets the option to add new products, add new trade leads, classifieds etc. No need to worry about the location. You can add your own location in the script. You can add country, state, city and location with the zip code/ pin code by your admin panel. Manage your website according to Google needs. In admin panel add your Google verification code and verify your website in Google webmaster tools. Add your Google analytics code to track your website visitors and also you can add your Google adsense publisher id to run Google ads on your website for make some money. Make money from running ads on your website. Our script has advance features to run you site ads. You can run both Google adsense and personal ads on the website. Just add the image, the visit url with its start and end date. From your admin panel mange your paid membership plans. In the script there is two paid members type. Manage your package price for every paid type. 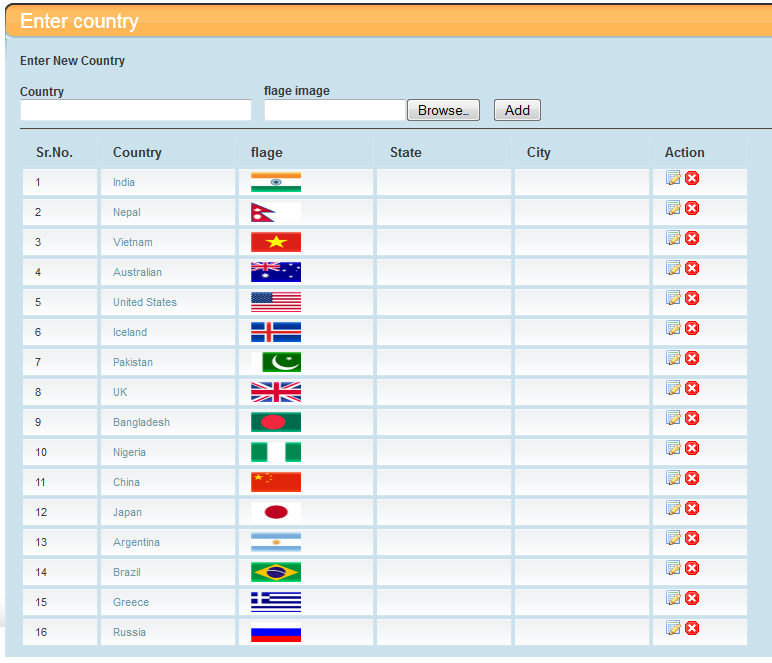 Search based on keywords, categories, posting dates, countries etc. Note: Some features are disable in demo link as per security reasons and while checking if you got any error then please ignore it because there are many people checking the demo site so we are updating our databsae regularly. B2b Marketplace script version 1.0 includes a built-in web state counter which keeps track of daily and overall member and compnies views. Manage all your google services like Google Analytics, Google Webmaster tools and Google Adsense right from your admin panel. You guys never cease to amaze me with your genuine desire to create and provide the best B2C script and great customer service around. Keep up the outstanding work! 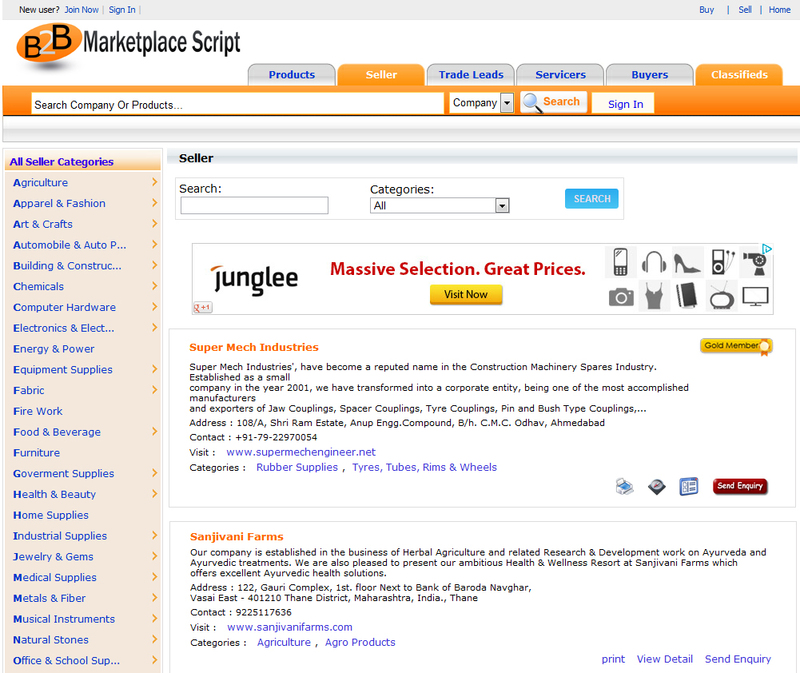 B2B Marketplace Script Version 1.0 is priced at $299. This is a one-time payment for the full version with complete features enabled and lifetime domain licence. We are providing free installation with script purchases for you on your server/hosting account and additional will cost you $49.95 per installation. 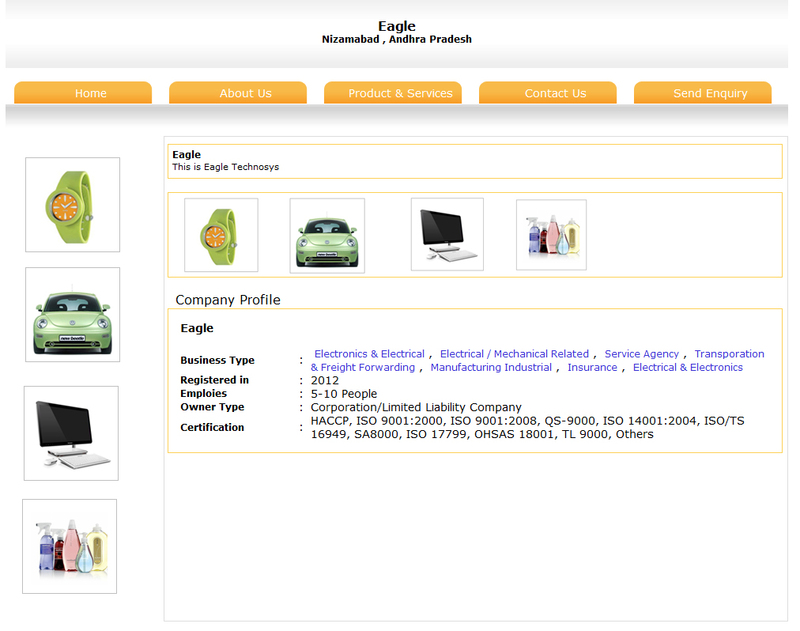 If you select *New Design Integration* send your html designs to sales@eagletechnosys.com after the order. Technical support for your product [Free support for 6 Months]. Add our affordable SEO service package to your purchase to make your website stand out in Search Engine Rankings.